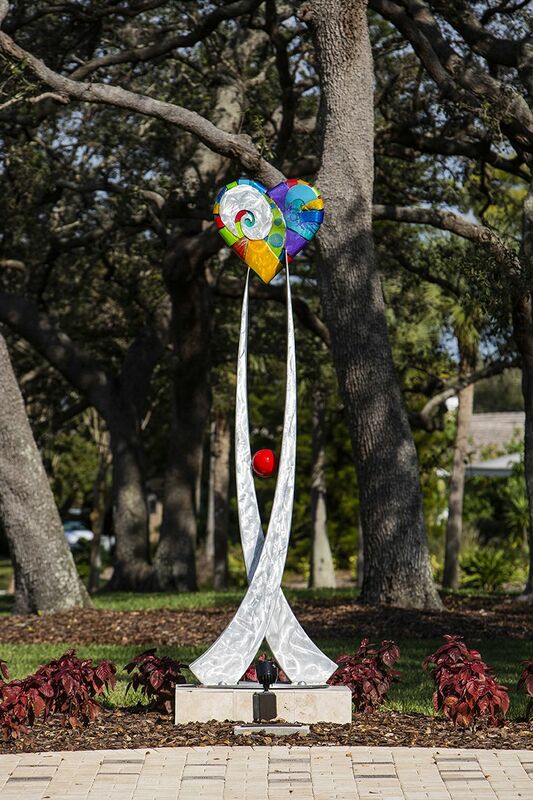 On November 30th 2018 several new sculptures were installed and a dedication ceremony took place in Belleair, FL. The city of Belleair and the Belleair Community Foundation recently renovated Magnolia Park and renamed the park, Doyle Park, after the family which has contributed heavily to the city and the redevelopment of the park. 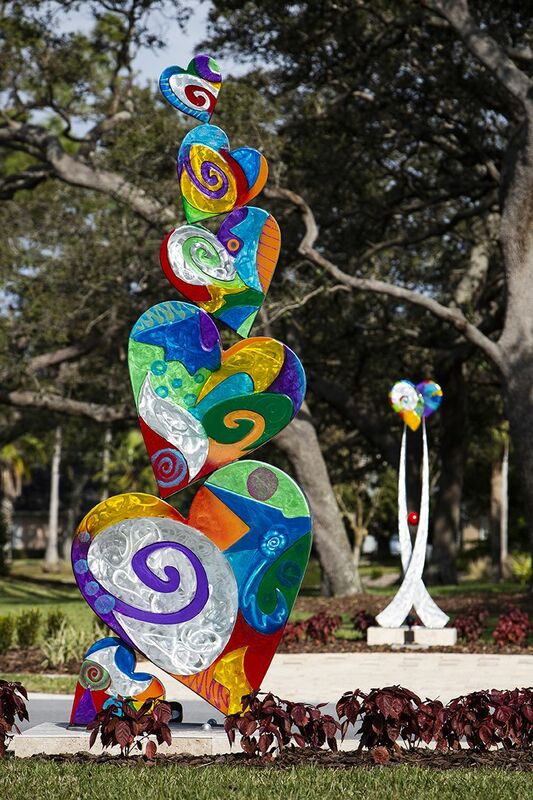 The feature sculpture in the park is by Pinellas Park artist Clayton Swartz and is titled "Family of Hearts." 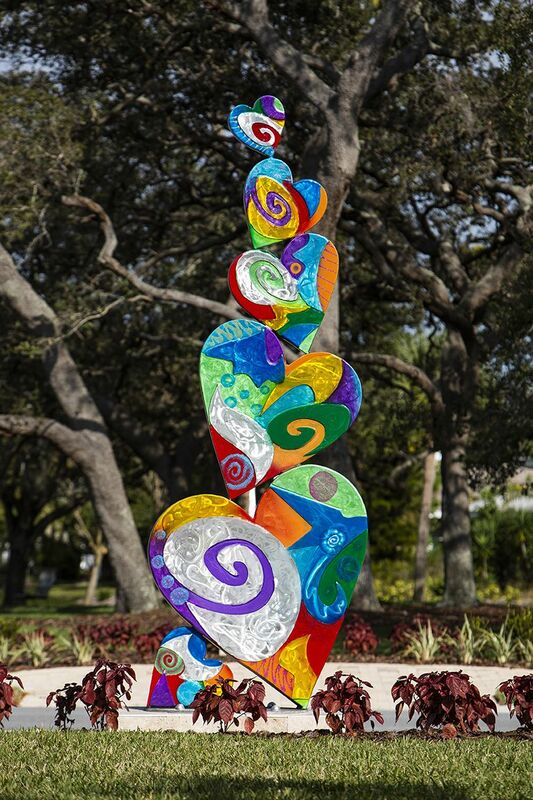 The vibrant aluminum sculpture stands 12 feet tall and includes 6 stacked hearts and is a lovely addition to the park. 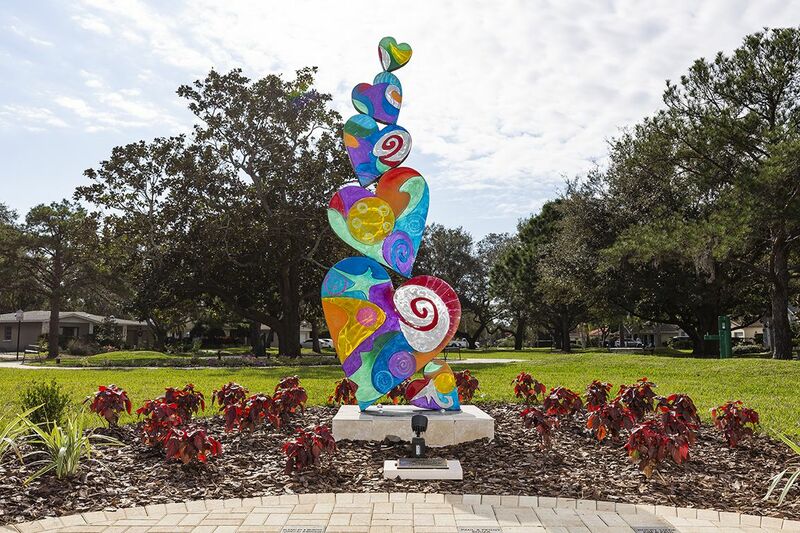 A second heart sculpture by Clayton Swartz is also installed in the park. 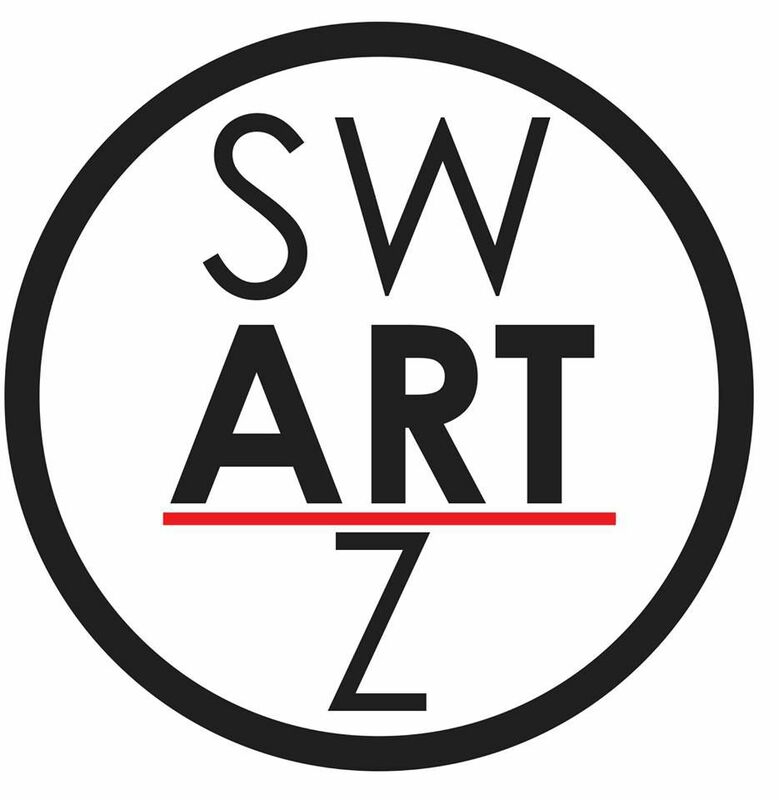 This is some of the most beautiful public art located in the Tampa Bay area and be enjoyed by all. The park is located at the intersection of Rosary Road and Magnolia Road in Belleair, FL.